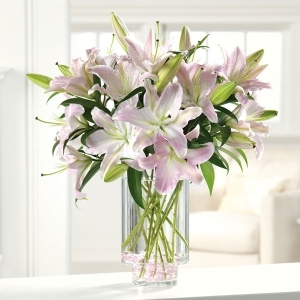 This dramatic design features pink Oriental lilies nestled in a clear vase. 24 hour notice may be needed for some varieties of lilies. Note: Some people may be sensitive to the scent of Oriental Lilies.